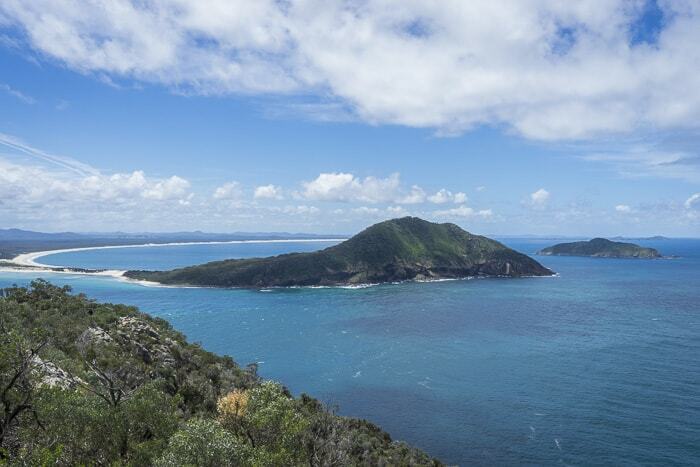 Tomaree Head Summit Walk is not long, but it is certainly steep. The official difficulty rating is medium. 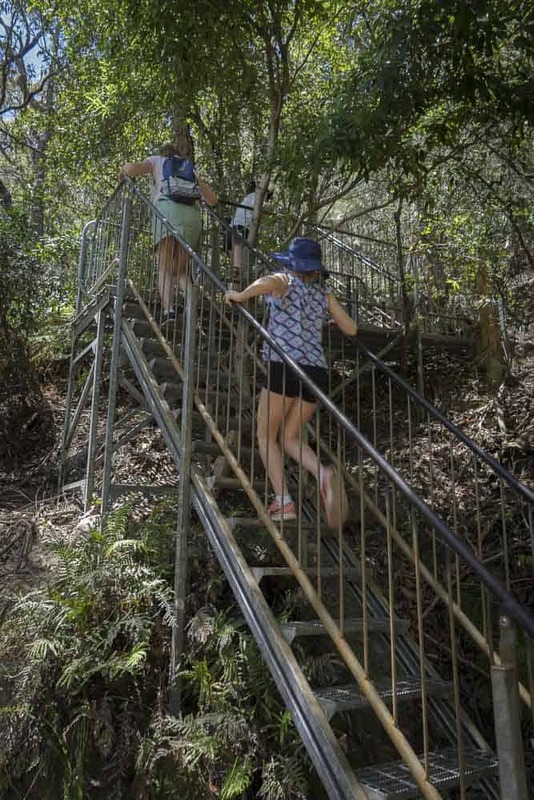 The walk is only 1km in length, but takes about 30 minutes due to the steep climb. The summit is 161 metres high. 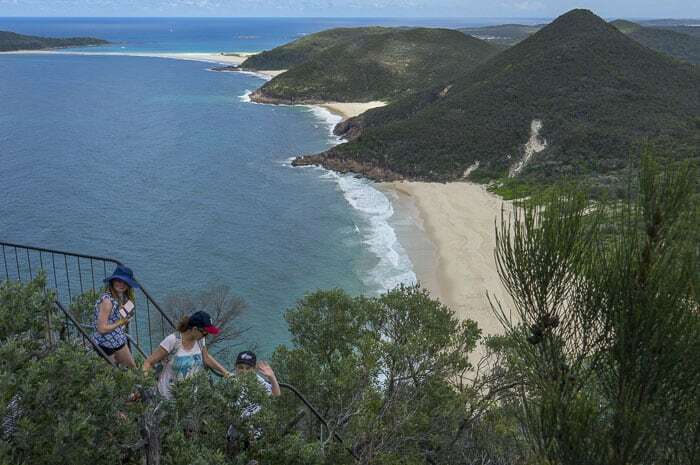 Start at the Zenith Beach car park and follow the well signed track. Afterwards enjoy a cooling dip at Zenith Beach, or drive down to Shoal Bay as we did. Read more at the NPWS website here. 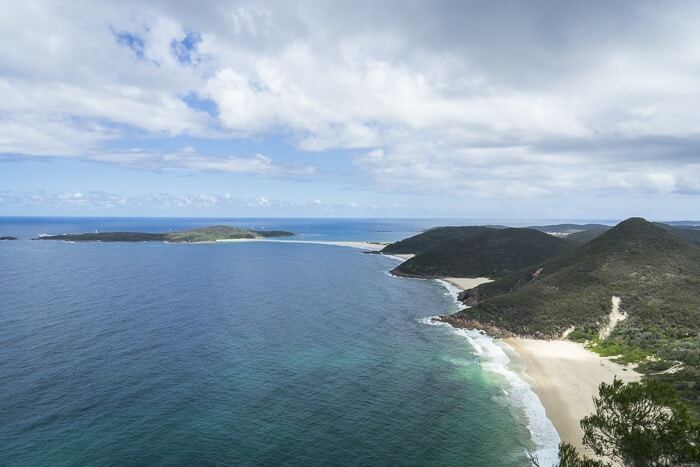 This is the view south across Zenith Beach, Wreck Beach, Box Beach and to Fingal Spit. 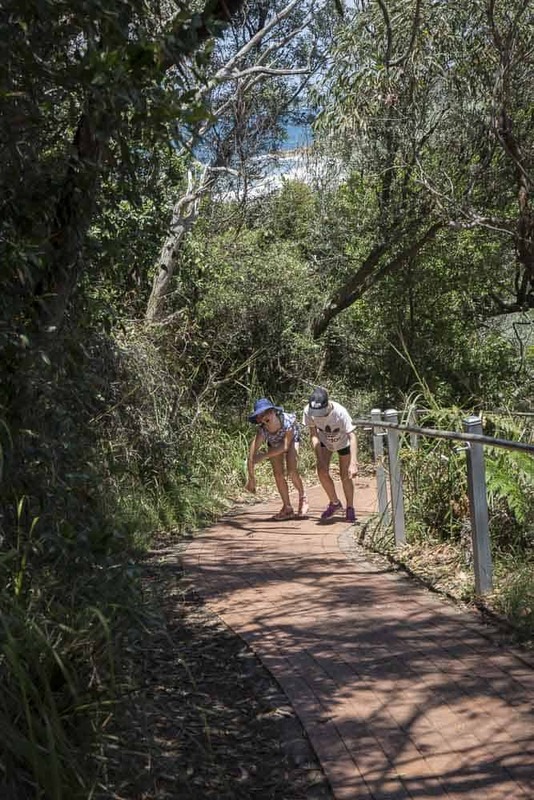 You might also like to check out our post on 15 Things To Do in Port Stephens With Kids and Where To Stay here. 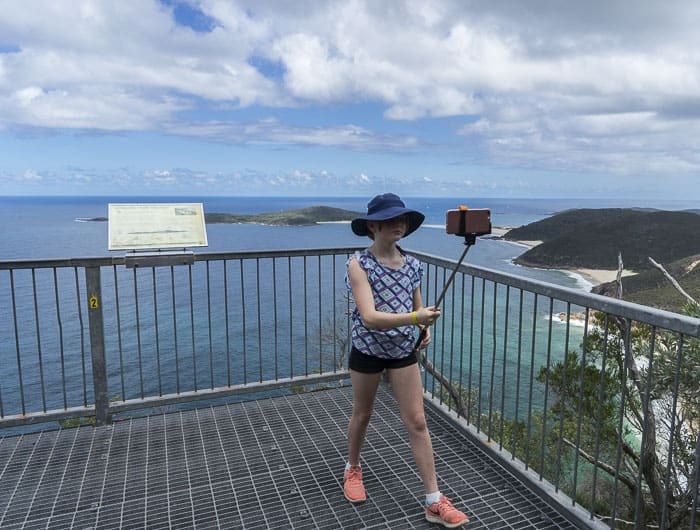 Our weekend away in Port Stephens was active and adventurous, with good food and some relaxation when we got home to our holiday park (read about The Retreat Port Stephens here).